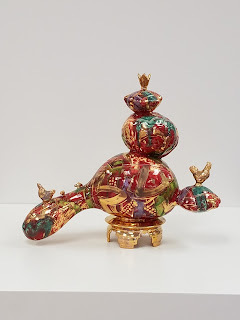 Flying Cup Clay studio: . . . and their off!
. . . and their off! Well not "their" just "me-ir". Heading back home to sunny Southern California. Hope to leave here at 6am and get back there by noon. Lots of time to drive slowly and carefully. I will be getting right back into teaching (tomorrow Monday)at school (OCHSA: Orange County High School of the Arts). Have to get my mind prepared for that. I probably will only have time to post once a week if I can. Need to figure out how to do this next year (2010). NCECA will be in Philadelphia and I will have to take a couple days off from school.